As of November 2015, the Coalition “ All for Fair Trails” is implementing the project ‘’ No more victims of violence – prevent, protect, proceed” within the Tripple A for citizens – acces to information, advice and active help services. It is a project that is implemented within the program of the European Commision for partnership between civil society organizations. 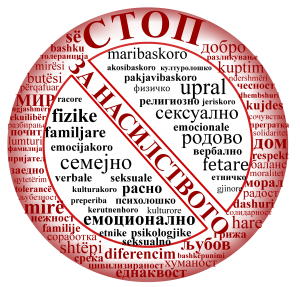 In 2012, the “Triple A” project has supported several projects and activities implemented by the Western Balkan countries ( Croatia, Bosnia and Herzegovina, Serbia and Kosovo) and Turkey aimed to promoting acces to justice for citizens from this region. In March 2015, the project entered a second phase in which it expanded its activities in three countries: Albania, Macedonia and Montenegro. The project Triple A for Citizens aims to strengthen the role of civil society organisations which provide Access to information, Advice and Active help (free legal aid) services to citizens with regards to their rights in Bosnia and Herzegovina, Serbia, Kosovo, Macedonia, Albania, Montenegro and Turkey. A targeted outcome is the creation of a European network of citizens advice organisations working on citizens rights. Providing legal protection – “ Proceed ” (Legal protection).